Lying with Statistics: The National Climate Assessment Falsely Hypes Ice Loss in Greenland and Antarctica | Watts Up With That? How fast are Greenland and Antarctica losing ice? If you trust the National Climate Assessment (NCA), you’ll think, “Very fast!” And that’s intentional. The aim is to provoke fear so the American public will support the Obama administration’s aim to spend $Trillions fighting global warming. Pretty steep declines, right? Downright scary. But if there’s any way to depict trends guaranteed to be misleading, it’s depicting them in raw numbers without the context of proportion. The NCA should either have depicted the ice loss as percent—with graphs showing the whole span from 0 to 100—or as gigatons but spanning from 0 to the highest totals for the two locations. What would the resulting graphs look like? To know that, you have to know the total mass of ice in both Greenland and Antarctica and the annual rate of loss. Neither is known very precisely, but working from widely accepted figures we ran the calculations. The results? Greenland is losing about 0.1% of its ice per decade—that is, about 0.01% per year. At that rate, it will take a century for it to lose 1%. Antarctica is losing about 0.0045% of its ice per decade—about 4.5/10,000ths of a percent per year. At that rate, it will take about 2,200 years for it to lose 1%. No, the trend lines aren’t missing. They’re the red lines up at the 100% level of the graphs. Their slopes are so shallow that Greenland’s is barely perceptible—and Antarctica’s, not at all. And the effect on sea level? Combined, about 1 millimeter per year—or about 3.3 inches by the end of this century. Not quite so scared now? But that’s not what the Obama administration intended. Now you know why it used the deceptive graphs. E. Calvin Beisner, Ph.D., is Founder and National Spokesman of the Cornwall Alliance for the Stewardship of Creation. J.C. Keister, Jr., Ph.D., is a retired research physicist and mathematics professor and a contributing writer for the Cornwall Alliance. July 6, 2014 in Antarctic, Greenland ice sheet, National Climate Assessment Report. Alarmism is a characteristic of having lost a sense of proportion. Since the total mass of ice at each location is not known very precisely, how can one measure the loss with any degree of accuracy? In other words, it seems to me the gain/loss of ice at both locations is “in the noise” — too small to know whether it is growing or shrinking, let alone to measure the rate of growth/shrinkage. Now do the same w/ 100,000 years of co2 plotted next to keeling. And scores of temps, sea levels plotted w/ exaggerated scales to maximize the fear factor. We still have a few sane scientists! Fact is that in 1060’s a son of a Norwegian King sailed together with priests to Greenland using the northern route which at that time had been open since 980 AD. I take it that the National Climate Assessment’s so called experts aren’t aware that Greenland isn’t one but at least two islands and the strait between the northern island and main inhabited Greenland still lies under more than 100 meter glaciar ice mainly caused by eruptions on Iceland (and Greenland) in 1341 on forward causing the earlier temperature, between +1 to +4 C more than today, to fall drasticly. Why did I know that all along. Will this study be published on SKS? Will the NCA publish this? How can Antarctica be losing ice if it just recently reached an all time greatest extent? Well, quite possibly because the Antarctic extent measures the ice floating on the sea around Antarctica. However, why is there ice loss on Antarctica? Are we perhaps seeing the downswing of a cyclic process? That’s sea ice, HenryP. Land ice could be decreasing due to combined sublimation and decrease in precipitation. Perhaps Antarctica appears to be losing ice because it is sliding off the volcanoes and entering the sea. Hence reduced mass on top of the mountains, and increased se ice extent? The article said, “depicts the rate of loss from the ice sheets covering Greenland and Antarctica:” That’s not sea ice. You know, we can’t keep playing the game and countering the nonsensical stuff–it discredits the skeptics. 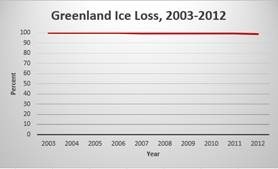 The ice is increasing so the graph should be on an upward slope. Its more than provable so why have a misleading counter graph? As if they have a point? They are dead wrong on Antarctica losing ice and that is all we should be addressing. Just how accurate is GRACE? It just might be possible to check the ice loss figures by looking at variations in the rotation rate of the Earth (after adjusting for the moon being pushed outwards, solar tides etc.) the ice is currently at the poles so low moment, when or if it melts its moment increases greatly. HenryP in July, also a record? besides sea ice coverage, is somebody measuring the depth of sea ice as well? Everywhere ? [in Antarctica]. How? If all the ice were to melt from the polar region would slow the Earth 600ms. We’ve seen a 2 ms slowdown since 1970. Like most every Earth measurement though, there are numerous conflating factors. Very clearly, the person who asked the question was confusing extent, which contains sea ice, with land ice. and ~400km³ per year spread over 360 million km² is roughly 1mm of sea level rise per year. The other powerful trick for propagandists is to show only a short period of history. Every climate-related plot of data looks normal and harmless when enough history is shown (decades or centuries), except of course when hockey-stick processing is performed. Straight out of How to Lie with Statistics, one of my favorite books. Present a cherrypicked slice of the data on a non-absolute scale. In this case we can throw in presenting an irrelevantly short interval — one whole decade. Really? For a climate trend? A third problem is that — once again — the data is presented without error bars! We do not know — note well — how much ice there is on Greenland or Antarctica to within one percent, and the entire range of data in either graph is less than a tenth of that, but since we do not get to see either the raw data points underlying the curves above or the error bars per point, we are left with the impression that the lines are accurate to within the width of the line and that the measurement process is not subject to any sort of systematic error that might produce the observed bias without it reflecting any sort of actual trend in the ice volume. For example, even if the curve is based on GRACE data, GRACE can very likely not accurately resolve the full volume distribution of the underlying mass — it effectively projects the mass distribution onto some presumed spherical shell. But what shell? If Antarctica and Greenland are continuing their post-ice-age subsidence, then dense magma is flowing out from underneath them, their land surface is falling, and of course their gravitational surface field is reducing. But GRACE cannot resolve this from field reduction due to ice loss without unprovable assumptions being made, and this sort of thing has to at the very least contribute to the probable error. But if the data is presented without that error being shown, the entire “trend” in the data above could be nothing but irrelevant noise. Not quite a hockey stick, eh? It would be even better (again) to add error bars to this curve — say plus or minus 1 C for the 288, another plus or minus 1 C (or more) for the bulk of HADCRUT4 gradually shrinking down to the 0.15 C they acknowledge over the last decade or so (which is IMO optimistic by at least a factor of 2, given the divergence between HADCRUT4 and e.g. GISS and the fact that HADCRUT4 doesn’t correct at all for UHI, where UHI alone is probably twice this). One day it will be very instructive to look back at the horrendous abuses of the theory of statistics in the general field of climate science, especially in its presentation to both policy makers and the general public. Somewhere in between the actual research papers (which often do treat uncertainty at a level that would pass most referees) and the Summary for Policy Makers and CNN, error estimates and uncertainty either disappear altogether or are replaced by indefensible weasel-words like “high confidence”. High confidence based on what, exactly? Not the central limit theorem. Not the data. Not on the excellent agreement between the models and the data. Confidence in statistics has a precise meaning, and one has to be able to back up any assignment of confidence with a computation based on the laws and theorems of axiomatic statistics. The use of the term “confidence” in the Summary for Policy Makers, on the other hand, appears to be much more akin to the use of the term “confidence” as it is used in “confidence racket”, or “con(fidence) artist”. “Trust me, I’m a Climate Scientist” seems to be a free pass to making indefensible assertions using the language of statistics but without any of the numerical backing one would require of research in any other heavily statistics-based field. This is one of the reasons I’m active on this list. I actually understand statistics pretty well, and know what one can and cannot expect out of predictive models. One cannot squeeze blood from a stone. Nor can one solve the Navier-Stokes equations at a spatiotemporal resolution that — for cells 100 km x 100 km x 1 km, and timesteps determined by the speed of sound divided into the longest (instead of the shortest) cell dimension — is roughly 10^20 times what one expects to have to use given a Kolmogorov scale for the nonlinear dynamics of around (less than) 1 cm. Climate models are based on nothing more than the fond hope that none of the dynamics neglected or approximated on shorter spatiotemporal scales is relevant, in spite of the direct evidence (from the models themselves) that this is not so! Most ice on Antarctica is centuries old. So I’m not sure how much meaning if any our supposed ability to measure it actually means. What if it just compresses down a bit?Or if pressure at the base causes some to melt off – or maybe volcanic heat melts some more? I would have thought that the surrounding sea-ice would be more significant to climate due to the large removal of heat needed to form sea ice. Someone please check my math! 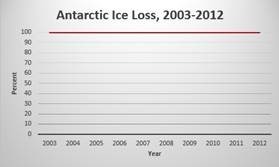 So, they say we’ve lost 1000 gigatons of Antarctic “land ice” since 2006? 1000 gigatonnes = 10^15 kg. Now, over the same interval, the Antarctic sea ice has increased by about 1.8 million km^2, or 1.8 x 10^12 m^2. Do we think that extra sea ice is greater or less than 0.6 m thick? Will the net ice difference be more or less than the amount of ice Al Gore uses in a year’s worth of martinis? also show how tiny those changes are. I see that Science mag has set up a new statistics board, which will be responsible for identifying those manuscripts submitted to Science that appear to need checking for how they analyze the data. http://www.sciencemag.org/content/345/6192/9. Smoke and mirrors is the cornerstone of how alarmists peddle their drivel and to try and influence the gullible and stupid. The trouble is the climate alarmists/jihadists have access to formidable financial and media resources, plus there are one helluva lot of gullible and stupid people. The only way these people can think of winning the argument is by deception and censorship. A further catastrophic rainfall on the border of Brazil and Argentina. As an outsider to the very technical discussions I have continued to wonder about the increase in air moisture as the sea rises (and warms). My humble opinion: so as the seas rise, more land is covered, then there more evaporation, then more rain and snow. With more snow, the glaciers return and the water in the oceans recede. Is this too simple? So, how high do the oceans have to rise to cover large areas of land and increase the moisture to promote glaciers growing? I do not believe the global warming theory, but I protect the earth just in case it might be true! This is right out of the little green handbook I have “How To Lie With Statistics.” It’s a classic example, and dishonest as can be. The ICESat satellite using altimetry found that the surface of Antarctica was rising up in a volume equivalent to half of the ice mass loss in Greenland. However, 48 authors later in a new study, ice mass gain was suddenly replaced with ice mass loss. I forget how they achieved this magic, but the fact remains that it’s getting physically taller so its either believe your lying altimeter or delve into physical models. besides sea ice coverage, is somebody measuring the depth of sea AND LAND ice as well? Everywhere ? [in Antarctica]. How? Reminds me of that venerable Chinese saying: “Man who lie with statistics wake up with more children than he can count.” … or something like that. Let’s see the current range of the jet stream to the south. Legitimate statistics would put an end to all this nonsense PDQ. I hope the “Science” statisticians are allowed to review retro-actively, which would show the world who Mann and his minions really are, what their work is really all about. This Administration uses statistics as a means of distraction. Con-artists fleecing victims use distraction in a similar way. Make wild claims about an alleged problem. Control the information flow on the problem. De-legitimize those who question the Administration’s claims. Propose a wildly unworkable and expensive ‘solution’. Blame those who questioned the process when it fails and/or ignore the failure. I agree with the authors. Failing to provide context might be said to be an insult to the users of the graphs. 150 years, 200 years, 100,000 years, mouse farts in geological terms. 500 million years is a much more appropriate time scale to measure this against. Not only is Earth obscenely cold, the planet also has a dangerous CO2 deficiency. Earth spent hundreds of millions of years with no ice at the poles. If anything, Antarctic ice is an anomaly that’s going to melt completely anyway. 100 years only seems like a long time because that’s about how long we live. To the planet, the measurement windows we’re using are meaningless nonsense that aren’t even valuable as an error, let alone any legitimate understanding of how the planet works. The Four Horseman of the Clipocalypse. Sea level according to Colorado University’s Sea Level Research Group is going up 3.2 mm/yr or 2.8 mm/yr if you remove their GIA correction. So, 1 mm/yr is huge, over 35% of sea level rise. It’s just a matter of whether or not you want to believe it or not. Me? I believe it about as much as I believe that the oceans are getting warmer according to the Argo floats after Dr. Josh Willis got done with his adjustment/corrections and changed it from cooling to warming. 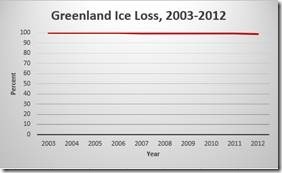 If it is true, then Greenland and Antarctica have been losing ice right along. Just remember that sea level rise according to CU’s Research Group isn’t going up faster and faster, and just like everyone else in this game they adjusted and corrected the data upwards to the tune of nearly 1 mm/yr just since 2004. Couple that with the temperature adjustments that have been a hot topic on these boards in recent days, and it is hard to really know what the truth is beyond knowing that you’re being lied to. Thank you so much for a very timely article. I got onto a comment thread (2100 comments and still going!) on TheDailyCaller on this very subject. One commenter posting long quotes that included big, scary numbers … like gigatons, million cubic kilometers, etc … of ice lost in Antarctica. I knew he was omitting context … but I had no figures of my own. Now I do! No matter how much GRACE data processing, like RGBfromduke inferred above, I don’t think it’s possible [to know], with this tiny a variation, if Antarctica is losing ice. Subsidence alone sounds like a big enough error source, but looking at how GRACE itself works, it makes no actual earth facing measurements whatsoever — it’s [two] satellites flying in tandem that simply measure the distance to each other, and record variations as gravitational anomalies. 0.0045% is 4.5/1000 of a percent, not 4.5/10,000. My bad. 4.5/1000 per DECADE = 4.5/10,000 per year. I measure things for a living. Those Ice loss rates compared to the volume of ice being measured look and awful lot like measurement error to me. In fact they look smaller than measurement error. What you might get if you look exclusively at anything that melts and ignore some or perhaps all ice accumulation. Any fair accounting of what is melting and what is accumulating would have a measurement error greater than their results. Recent years’ rapid melting of the Greenland ice sheet has shown that the southern dome is the ice sheet’s most vulnerable part. The southern ice sheet dome, the area south of c. 67°N, is a highland ice cap with its base c. 500 m a.s.l. It contains c. 15% of the Greenland ice sheet’s volume, equal to c. 1 m global sea level, and is characterised by very high accumulation and melting. Two of the most active outlets from the ice sheet, Jakobshavn Isbræ and Helheim Gletscher drain the saddle between the northern and southern ice sheet domes. The southern dome, and of course the northern also, persisted in a reduced form during the warm Eemian interglacial (c. 125,000 years ago), when annual mean temperatures over Greenland were c. 5°C warmer than now for some millenia. During the last ice age the southeast coast of Greenland was one of the areas of major ice sheet growth, reaching the shelf edge at the last glacial maximum, c. 20,000 years ago, as shown by bathymetric studies. During the Holocene thermal maximum, c. 8,000 years ago, when annual mean temperatures were c. 2°C warmer than now for some thousands of years, modelling and GPS altimetry show that the southern dome was the most sensitive part of the ice sheet, retreating as much as 80 km behind its present front in some areas. After this, during the neoglacial the ice margin readvanced. In spite of the large scale changes in ice cover in this area, the Holocene isostatic history is peculiarly muted and characterised by low uplift. This can be interpreted in several ways, but does show an abnormal ice load history, when compared to other sectors of the ice sheet. In general, the variable behaviour of the southern dome through the geological record contrasts with that of the much more resilient northern dome. Judged from this, we can expect a more direct and vigorous response to warming in the southern dome than in the much larger northern dome, but will it melt away for the first time in 400,000 years? – Probably not. This is one of the many reasons so many of us call this whole thing a fraud. Radionuclide decay dating of soil exposed around the margins of the East Antarctic Ice Sheet show that it quit retreating about 3000 years ago. Earth has been in a long-term cooling trend since then, at least, if not since the end of the Holocene Optimum about 5000 years ago. This is not to say that the next glaciation is just around the corner, but this major repository of the planet’s fresh water is in no danger of disappearing, let alone even melting discernibly. Those puny, puny ice losses for the end of this century assumes the trend continues. I question those losses in the first place. Where did they get those loss figures from? Greenland is losing about 0.1% of its ice per decade……. Is there any possibility for room for error? The accuracy for Antarctica is amazing. Now back to other observations. An improved understanding of processes dominating the sensitive balance between mass loss primarily due to glacial discharge and mass gain through precipitation is essential for determining the future behavior of the Antarctic ice sheet and its contribution to sea level rise. While satellite observations of Antarctica indicate that West Antarctica experiences dramatic mass loss along the Antarctic Peninsula and Pine Island Glacier, East Antarctica has remained comparably stable. In this study, we describe the causes and magnitude of recent extreme precipitation events along the East Antarctic coast that led to significant regional mass accumulations that partially compensate for some of the recent global ice mass losses that contribute to global sea level rise. The gain of almost 350 Gt from 2009 to 2011 is equivalent to a decrease in global mean sea level at a rate of 0.32 mm/yr over this three-year period. Enhanced snowfall on the East Antarctic ice sheet is projected to significantly mitigate 21st century global sea level rise. In recent years (2009 and 2011), regionally extreme snowfall anomalies in Dronning Maud Land, in the Atlantic sector of East Antarctica, have been observed. It has been unclear, however, whether these anomalies can be ascribed to natural decadal variability, or whether they could signal the beginning of a long-term increase of snowfall. Here we use output of a regional atmospheric climate model, evaluated with available firn core records and gravimetry observations, and show that such episodes had not been seen previously in the satellite climate data era (1979). Comparisons with historical data that originate from firn cores, one with records extending back to the 18th century, confirm that accumulation anomalies of this scale have not occurred in the past ~60 years, although comparable anomalies are found further back in time. We examined several regional climate model projections, describing various warming scenarios into the 21st century. Anomalies with magnitudes similar to the recently observed ones were not present in the model output for the current climate, but were found increasingly probable toward the end of the 21st century. …..The strongest volcanic signal (both in sulfate concentration and flux) was attributed to the AD 1452 Kuwae eruption, similar to the Plateau Remote and Talos Dome records. The average snow accumulation rate calculated between volcanic stratigraphic horizons for the period AD 1260–2010 is 20.9 mm H2O. Positive (+13%) anomalies of snow accumulation were found for AD 1661-1815 and AD 1992-2010, and negative (-12%) for AD 1260-1601. We hypothesized that the changes in snow accumulation are associated with regional peculiarities in atmospheric transport. Good article, but it misses the bigger story. We find that the record length of spaceborne gravity observations is too short at present to meaningfully separate long-term accelerations from short-term ice sheet variability. We also find that the detection threshold of mass loss acceleration depends on record length: to detect an acceleration at an accuracy within ±10 Gt yr−2, a period of 10 years or more of observations is required for Antarctica and about 20 years for Greenland. What is more, the headlines of a few years ago that claimed the Greenland ice cap was collapsing are also invalid. Without acceleration there is no collapse. Posted more detail on this over at Judith’s. guest essay called SLR Tipping points maybe two weeks ago. The SLR alarm is much fuller of rich irony than just omitting total ice context. BTW, add together the 1mm/year here, non- ice sheet glacial retreat (variously about 0.4mm/yr) plus ARGO estimated thermosteric rise (variously 0.6-0.8mm/year) and you define the closure problem. The total is substantially less than the sat altimetry measured 2.8mm/ year (ignoring modeled GIA, worse if it is included). It is possible all the numbers are off. Something sure is. Nice ‘all satellite’ example of the uncertainty monster. Another way to relate all those gigatonnes of ice loss is against sea level rise. It takes about 365 gigatonnes of ice to raise sea levels by just one millimeter. That means over 10 years the ice melt has contributed around one-third of the sea level rise recorded by the satellites. Put another way, polar ice melt is raising sea levels at the rate of 4 inches a century. So Obama wants to spend money on reducing the human impact on our planet. And this is a problem because..? Regardless of what you think about climate change, answer this – what is the terrible problem with trying to invest in our planets future, trying to make it a cleaner and healthier environment for us and future generations? No false data was presented. You make a valid point about the measured sea level rise from satellites being far greater than polar ice melt. It can be theoretically accounted for by thermal expansion of the oceans. Further, it does not need any net heat uptake of the oceans, as thermal expansion of water varies greatly with temperature. All what you need is for a net heat transfer from the deep oceans towards the surface in the tropics, or a heat transfer from the polar regions towards the tropics of water near the surface. Who WAS to blame? Man of course. Before 1950 AND 1950. It’s worse than we thought and we shoulda acted. …The warmest temperature recorded in the core occurred in 1785, but widespread melting did not occur due to low BC concentration…. Were all those ice-bergs caused by the warmth or the cold? You decide. Icebergs were seen in the Southern Ocean between Campbell and Antipodes Islands in late December 2004. This note lists other times when icebergs were sighted near New Zealand, in the 19th and 20th centuries. In the South Island cold weather patterns, exceptional snowfalls, massive snow avalanching and glacier expansion episodes were broadly coincidental with the times of iceberg appearance relatively close to our shores. …The icebergs reported by Russell (1895) from sightings between 1888 and 1895; from N.Z. Marine Department records 1922 to 1948* in the area from Australia to South America, and the records of bergs occurring between 1892 and 1899 (Meteorological Office, London, 1907) are plotted in Figs 1 and 2. The Hinemoa records (Fig. 3) are of a field of bergs seen around the Antipodes Islands in 1897…..
Shand (1893) describes the bergs of this group as seen from the Chatham Islands on 28 and 29 October 1892 and for “a week or more” after. More than eight bergs were seen, the largest “not less than 500 ft in height”,….. I am sceptical of all the ice loss garbage. I suspect they are fiddling the figures, applying massive torture and bending the data. Even if they weren’t the numbers they give are just too small to tell us anything meaningful. And even if they are right there is nothing alarming in the numbers for the year 2100. I’m going for a beer. Can Net Ice Gain (or net ice loss) be determined from the GRACE satellite? But, as rgbatduke noted above, ONLY if all of the corrections and assumptions and trends and errors are “corrected” correctly. Make an error? The results are wrong. (1) the initial states (masses and elevation above sea level) of the rock UNDERNEATH the ice domes above sea level on the continent of Antarctica and between the two high coastal ranges of Greenland. (2) Once the exact shape of the rock underneath the ice domes is known, THEN you have to model/assume/guess/estimate the changes in height of the underlying rock correctly over time. (3) Ice and rock are two different densities obviously, and those densities change over depth of the ice, depth of the rock below the ice, but “rock” itself has different densities. In different areas. (4) You have to make measurements (or assumptions) about the shape of the ice dome above the underlying rock. The latter is “easy” compared to the first three: but, it is NOT simple. To date, I am aware of only 4 deep core drills in Greenland that have been used to “calibrate” the assumptions needed in GRACE calculations. (The GRACE ice loss “figures” are not really measurements -> Measurements are only made between the relative distances between the two satellites over time. Every thing else is calculations based on estimates from those measurements – with error bars necessarily increasing at each step! ) Two drill holes are complete: They were near the two coastal mountain ranges on each side of Greenland. Another was in process, but incomplete somewhere in the middle of the icecap. A third was partially successful, but had to be abandoned. The resulting “map” of the rock underneath Greenland is like trying to determine whether the bed of the Mississippi River is going up or down after earthquakes in Memphis by measuring the mountain top heights twice: Once in the Appalachian, and the second at Denver Colorado. Then declaring a 100 year trend in river depth trend because the mountains moved! Remember too that the “rate of Greenland ice loss” cannot explain such “gains” in ice cap depth as the airplane recovered under 270 feet of “new” ice after only 70 years exposure since it landed in WWII. Could that plane have “sublimated” or melted down through the ice? Well – no. Airplanes are very, very light, and their wings and fuselage provide a wide area upon which the aircraft will “float” after the wheels melt down. And even less is known about rock depths and contours in the Antarctic! Make the wrong assumption about the weight of the rock under the ice, the wrong assumption about whether that rock is moving up or down with respect to sea level? You cannot make conclusions about the rates of ice loss or ice gain above that unknown, moving rock. One must not forget that the time that the Greenland ice cap is predicted to melt by the IPCC, (should AGW accelerate as predicted), is “millenia”. Millenia is the plural of millenium thus the IPCC is giving it a minimum of two thousand years and an open ended maximum. One has to admit that this is a case of forward planning taken to an extreme! Even the Julian Calenda did not last that long. When did Greenland become part of the polar ice sheet? Manic, thermostatic SLR is the ‘ocean heat expansion’. I cited it, as measured by ARGO. And, since it is absolute temperature dependent ( seawater is densest at about 4C) the upper 700 meters ( roughly the thermocline) has to account for most of the thermal expansion.. Even though the deeper ocean has much more column, it has almost no temperature variation. that can be worked out both theoretically and empirically. The best part from a ‘if the glove doesn’t fit you must acquit’ standpoint is that all three recent closure attempts necessarily posited SLOWING SLR, the opposite of what the CAGW meme asserts. Falsification through uncertainty. Still falsification. The world is a big place. A millimeter is a tiny amount. Go from there. Reading from my phone, so I can’t see if this has been discussed. The fact that the authors believe that Adam and Eve are the original humans does not lend authority to their argument. To believe that, one must have faith and reject geology. Nothing wrong with that. Except it puts one in the company of the consensus. I won’t comment further on this theological debate here on a science blog. I’d love to see a flash graphic of the before and after temperature profiles for Argo. I used to look at them BA (Before Adjustment). But now,PA, I never look though I am sure there is something interesting there. Lost confidence in it. So Obama wants to spend money on reducing the human impact on our planet. And this is a problem because..? It’s a problem because the “problem” (according to IPCC) is HUGE and will require ZILLIONS od dollars. Think of it as an insurance issue; if the cost of insuring against a particular event is greater than the cost of re of the event, don’t bother insuring. Businesses face these sorts of decisions daily and take appropriate actions, because it’s THEIR money that would be wasted. Governments, on the other hand, spend OUR money. Ren, earlier today I was looking at Earth nullschool. I noticed a very active jet stream in the lower southern hemisphere. Would I be right in thinking that the flow is well above average? These declines are so small that the error bands probably show that the estimates of change are not significantly different from zero. The increase in sea ice in the Antarctic probably means that more ice is sliding down slope into the sea. This probably indicates that the mass of the Antarctic glaciers is increasing, but at a rate not statistically different from zero. After all the mass of sea ice is small in comparison with the mass of ice in the Antarctic glaciers. Someone with better access to the data that I have should have a go at estimating how much of the annual Antarctic precipitation is represented by the increase in sea ice. That would indicate whether or not it is PLAUSIBLE that the increase in sea ice is caused by an increase of snowfall over Antarctica. An increase in cloudiness might suggest that Svensmark’s theory applies..
Maybe. However, it is certainly plausible. Nobody really knows, though. We do know that something (or more likely, some combination of somethings) creates a climate “set point” that it loosely oscillates about, and that that set point slowly wanders. 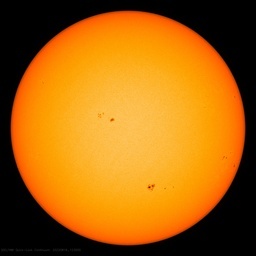 We do not have even a semi-empirical or solid heuristic “theory” of how or why it wanders, and cannot dream at this point of predicting its motion (which depends in some detail on how the climate sloshes around in its vicinity as well as on some presumed set of external but unpredictable drivers like the state of the Sun). Then, the climate is a highly nonlinear, chaotic system and doesn’t really “need” any glib explanation for the glacial/interglacial cycle, or for bobbles such as the LIA and MWP and the modern warm period. What we do know is that if one takes CO_2 levels over geological time as known from radiometric proxies, and plots it against global average temperature over geological as known from radiometric proxies and the fossil record, there is damn-all correlation between the two. This “anti-hockey stick” graph should be the cover art for AR6, which should be the last AR of the IPCC before the IPCC disbands, or repurposes itself looking for the advent of the next glacial episode, or whatever. If it had been plotted first, instead of last, the world would be a trillion or two dollars wealthier and maybe 30 million people (most of them children) who are the casualties of the ongoing “climate alarmism catastrophe” would still be alive. But I do like your theory for at least part of the macro behavior for glaciation, when combined with albedo effects and the unknown but strongly correlated Milankovitch (orbital) effects and the possibility of some sort of aerosol feedback from isostatic rebound vulcanism and the variation of thermohaline oceanic circulation and who knows, long term variable behavior of the Sun acting as a de facto “trigger” when orbital factors destabilize the interglacial phase. There is no lack of possible causes, in other words, and they all probably contribute in a strongly coupled nonlinear dynamical system, or rather set of three coupled systems, two Navier-Stokes (ocean and atmosphere) and one magnetohydrodynamici (that is, even more unsolvable, the sun). As long as this system is uncomputable and heuristic models fail, we Do Not Know, even though people are eager to claim that we do. Regardless of what you think about climate change, answer this – what is the terrible problem with trying to invest in our planets future, trying to make it a cleaner and healthier environment for us and future generations? What has that to do with reducing CO2 emissions? The manufacture of renewables dirties the planet–and so does the disposal of them, when they reach the end of their lifespan. And the resistance to building coal-power plants in developing countries means that the planet will be dirtied by the burning of dung, firewood, and kerosene. Look at the polar vortex. Below apparent blocking by ozone. It’s simple: the plots given are not based on thickness. GRACE attempts to estimate mass changes by observing changes in the gravity field. So: if total mass of sea ice increases while land ice decreases for a net decrease in mass, that could account for the estimated decline. Or, as others have pointed out, it could be experimental error. I don’t think that in either case, warming is the only explanation. And “losing mass” could mean other factors as well; I would guess those are less likely than a loss in ice mass. There could, for example, be some sort of replacement of denser crustal rock with less dense rock. Possibly there are other possible explanations for that as well. Upshot is: GRACE isn’t measuring ice thickness or even ice mass. They’re just inferring the amount of ice mass based on fluctuations in the observed gravitational field. There is no “correct” way to graph — except for intentional deception. The graphs above clearly and accurately display different quantitative aspects of the same phenomenon. 1mm per year from a focused source gets added to the mms per year from other sources, which may have the same cause as the focused source. The totals could be important. In percentage terms, the total loss of Miami isn’t much compared to global gdp. Similarly, the percentage loss to US gdp caused by auto accidents isn’t that great. Nothing useful is implied by those small percentages. But I’m still terrified! Of Global Warming Alarmists and their effect on the low-info voter types. What a sad state of affairs we find in the field of climatology! How can two opposing views be right? The National Climate Assessment (NCA) implies a serious loss of ice. Yet the real world observational data held by the National Snow And Ice Data Center, funded by NASA, shows otherwise. Is it any wonder that the field of climate science is perceived to be a joke? Someone is right and someone is wrong. When nobody can agree who is ultimately right, it shows there is a major problem in this field. It seems to be the case that while some people are more interested in the politics of climate science in in pursuit of achieving international agreement over fossil fuel energy use, others are genuinely trying to act in the best interests of science. And there lies the heart of the problem! The National Climate Assessment (NCA) implies a serious loss of ice. Yet the real world observational data held by the National Snow And Ice Data Center, funded by NASA, shows otherwise. Link, please. It’s a big website, is NSIDC.org. And crystal growers even grow quite large (kilogram sized) single crystals of SiO2 out of aqueous solutions (at high temperatures and pressures (not by Geological standards) and it takes months. The amount of money in question and the lack of efficacy of such measures. It is important to realize that you have to melt a lot of grounded ice to significantly affect sea-level. Melting an entire cubic mile of ice which is grounded above sea-level would cause global sea-level to increase an immeasurably tiny 0.0105 millimeter. 2. They’ve cherry-picked their evidence. Most sources agree that Greenland is losing ice mass (very slowly). But it’s not actually clear that Antarctica is losing ice mass. Calculations from GRACE data indicate it’s very slowly losing mass. But ICESat measurements indicate that it’s very slowly gaining mass. All we really know for sure is that it’s very close to being in balance. ICEsat measurements indicate that, on the whole, Antarctica is gaining, rather than losing, ice mass. Shepherd 2012 concluded that Antarctica ice mass change since 1992 has averaged -71 ± 83 Gt/yr, which means they don’t know whether it’s actually gaining or losing mass. Zwally 2012 concluded that Antarctic ice mass gained +43 ± 16 Gt/yr (over five years), or +120 ± 50 Gt/yr (over 19 years). The range of those numbers when the error bars are added is from +170 Gt/yr to -154 Gt/yr, which is equivalent to just +0.47 to -0.43 mm/yr sea-level change. In other words, although we don’t know whether Antarctica is gaining or losing ice mass, we do know that the rate, either way, is so low that it is having very little effect on sea-level. 4. There’s a lot of confusion between grounded ice (ice sheets and glaciers) and floating ice (ice shelves, like the one at the Amundsen Sea Embayment, and sea ice). That confusion is exacerbated by the similarity of the terms: ice sheets vs. ice shelves. The melting, formation, disintegration, or growth of sea ice and floating ice shelves does not directly affect global sea-level (ref: Archimedes). It’s only possible impact on sea-level is by affecting the rate at which glaciers uphill from the ice shelves flow toward the sea. When grounded ice melts or slides into the sea, it does affect sea-level, but the effect is reduced if the ice is grounded below sea-level, i.e., if the rock upon which it rests is below the waterline. In that case, the ice is “partially floating,” so the effect on global sea-level when it melts or floats away is reduced. 5. At current melt rates, it would take about 2000 years for Pine Island Glacier to melt, and over 3000 years for Thwaites Glacier to melt. The anthropogenic “pulse” in CO2 levels, and its slight resultant warming, will be much shorter than that. Compared to the multi-millennium time scales involved in ice sheet changes, it is very short, indeed. It is doubtful that mankind can sustain current fossil fuel consumption rates and CO2 emission rates for even the next 100 years, and about half of all the CO2 we produce is already being sequestered by the biosphere and the oceans. Unfortunately, such energy sources will not add CO2 to the atmosphere, and as CO2 levels fall, so will agricultural productivity. 6. The rate of global sea-level rise is extremely low, and hasn’t increased in over eighty years. In fact, it is so tiny that in many places it is dwarfed by land movement. At about 20% of the best tide gauges (which measure long-term sea-level trends) the trend is down (sea-level is falling), because the land is rising faster than the sea. 7. There is no evidence that anthropogenic GHG emissions have increased the rate of sea-level rise at all. That is the single most important fact that everyone needs to internalize. About 80% of the anthropogenically-driven increase in CO2 levels has happened in the last 2/3 century, yet there’s been no acceleration in sea-level rise in over 80 years. 8. That lack of acceleration in sea-level rise is despite the fact that there are two anthropogenic factors which should have been expected to cause a slight acceleration in sea-level rise: reservoir impoundment (which peaked with the Aswan High Dam in the late 1960s and early 1970s, and has slowed dramatically since then), and groundwater extraction (which has accelerated). Both of those should have caused an increase in the rate of sea-level rise over the last 40 years. The fact that the rate of sea-level rise has nevertheless failed to increase at all strongly suggest that aggregate melt-water contribution to sea-level rise is slowing, rather than increasing.